We are proud to announce that our Makerversity Amsterdam Learning Lab has been awarded a second round grant. 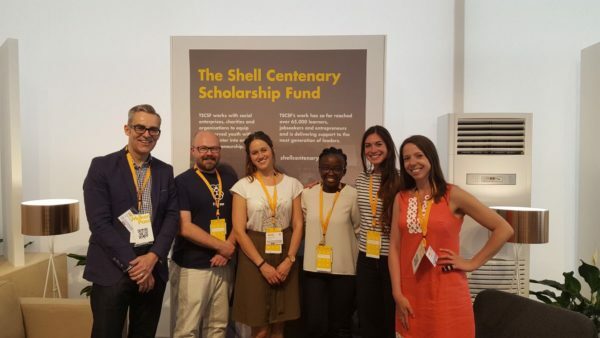 We have been selected by charitable organisation The Shell Centenary Scholarship Fund (TSCSF) as a partner for 2017/18. Through this partnership, we will continue to provide innovative and sustainable solutions to support their education mission. Together, our goal is to equip under-served youth with essential expertise to enter into gainful employment or entrepreneurship. Through 21st Century Skills learning programmes (including Makerversity DIY), we’re aiming for a larger and more talented global workforce. And our main focus is on education in science, technology, engineering and maths. In the last year our Under 25 sponsorships, curriculums, workshops and events impacted 2,900 learners directly. We run these initiatives both on-site in our workshops and offsite at schools – or after school clubs, libraries, museums, businesses. All Makerversity members (77 in the Netherlands and 250 in the UK) have the opportunity to play an active part in these programmes. They are all encouraged to pass on their experiences and expertise. And we plan to broaden our initiatives through our upcoming teacher training with Ultimaker. Below is a snapshot of some of our Learning Lab activities at our new home on the Marineterrein. Simon (TSCSF), Philip (Raspberry Pi Foundation), Chrissie (Teach First), Georgina (TSCSF), Anna (Makerversity) and Heather (Teach First) at the Make The Future event in London. 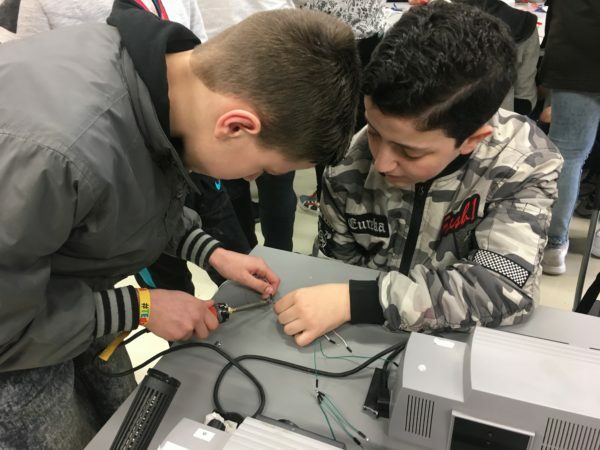 1200 secondary students from 14 different schools attended ‘Techniek Experience Day’ 2017, the largest ever technology day in Amsterdam. The day was led by Makerversity Learning Lab and co-created with the Navy Establishment and fellow Marineterrein tenants. The“doedag”(do day) was designed to inspire and motivate under-privileged students to choose a career path in technology. 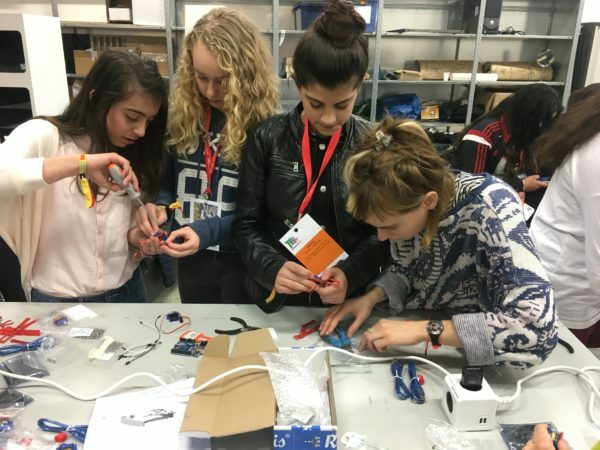 Makerversity members gave a variety of technical and digital workshops covering 3D printing, building Arduino plot o’clocks, laser- cutting, experimenting with recycling, CAD modelling and more. “Makerversity is a place where I connect with other creative entrepreneurs and learn about their backgrounds and industries. The community helps me by asking critical questions about my ideas. 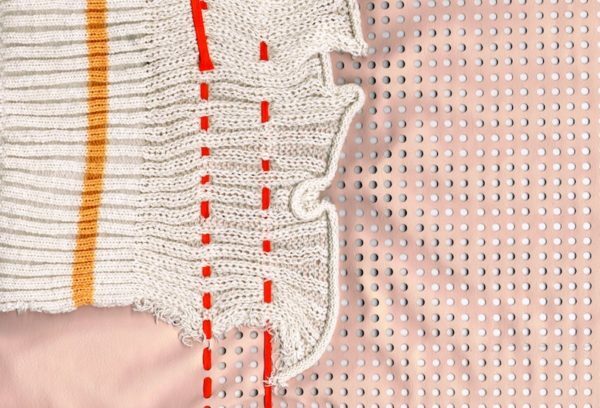 That way I can see new angles and adapt concepts for the better.” – Lucas Wertheim. 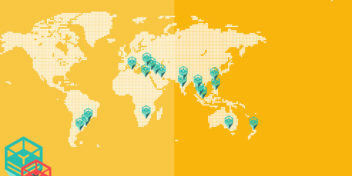 To launch our U25 memberships we invited three highly motivated and curious young entrepreneurs to join our community. 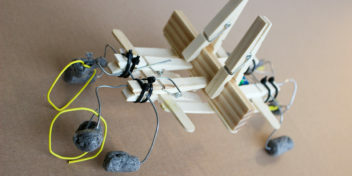 In our workshops they built their prototypes and products. In the office they collaborated with other members and expanded their business horizons. Their involvement and support on our learning workshops is beneficial for both them and school students. If you’re interested in hearing more about our U25 memberships, you can read about it here. 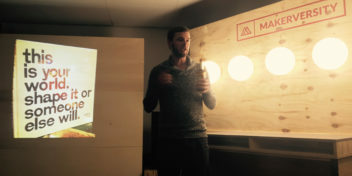 “Through Makerversity I became more professional. Building my company and meeting people that are already a step ahead of me is very valuable. I really enjoy the conversations with likeminded members, experimenting in the workshop with 3D printers and prototyping with the lasercutter. As a fashion designer it is very interesting to broaden my horizon with innovative techniques. It is all made possible by Makerversity!” – Maartje Janse. We work with and encourage our members to host events to further up-skill Amsterdam’s young community. These include coding and programming curriculums for young girls, Young Engineers lego curriculums and Hackitarians ‘Robots to the Rescue’ sessions. Our skill-share sessions on specific machines, materials or techniques are accessible and popular introductions to making. 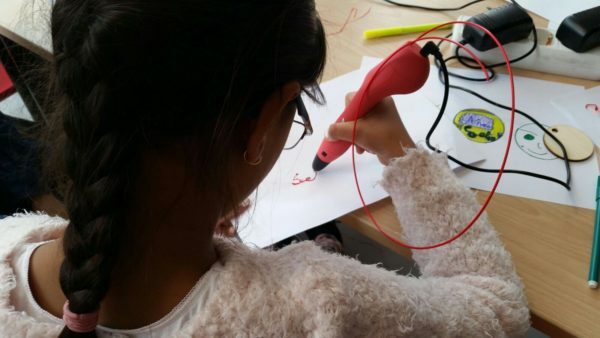 During a 6-week workshop, kids aged 7 – 10 were invited to experience what it is to become a designer. They designed and built their own games and tools for play. 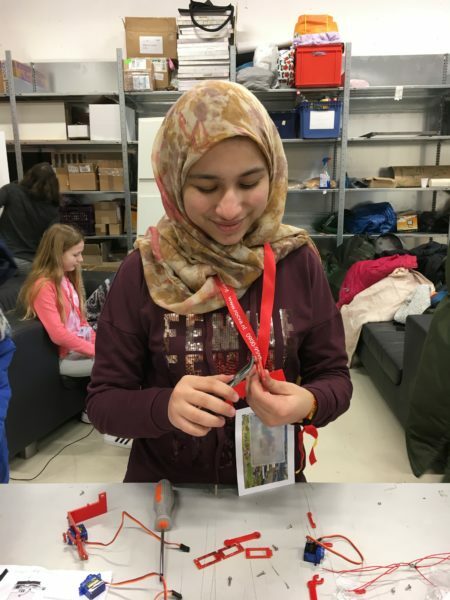 Using recycled and up-cycled materials they learned new ways of making – rapid prototyping through 3D printing and CAD modelling. The young students designed and made their own medals and team whistles to go along with the games they made. We offered this workshop to kids from lower income families in the local neighbourhood. These kids would not otherwise have access to this kind of opportunity. We have built an officially accredited SBB programme for vocational students. The students work with the Makerversity team and have opportunities within our member businesses. Once they have created a brief, they deliver it with the community’s support. 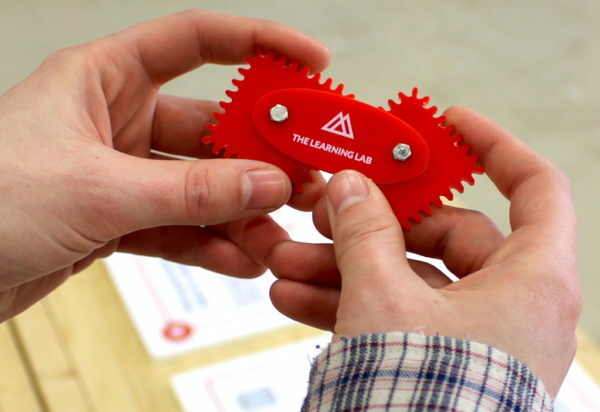 They are encouraged to use this project as a way to learn the machinery, materials, techniques and everything to do with being an entrepreneur. Projects range from way-finding to stackable event furniture. Our team is iterating every step of the way. For us the content and provision of education in the future is multi-disciplinary and project based. We will continue to draw on the range of startup and professional expertise we have in our purposefully diverse community. A community of IoTers, chat-bots, fashion designers, industrial designers, coders, product developers, material specialists, artists etc designed to break down industry echo-chambers. Here we have architects sat alongside software developers. It is an environment that catalyses collaboration and support – whether approaching a problem through code or bricks! If you would like us to develop a Learning Lab project with you then do be in touch.